SURE ! Cloud (formerly eVapt ) is a US-based, wholly-owned subsidiary of MagnaQuest, and enables the metering, billing, subscription management and pay-as-you-use model for Cloud computing, SaaS, PaaS, IaaS, On-Demand service providers. eVapt’s on-demand billing and monetization platform enables service providers to both automate their back office operations, as well as support more sophisticated pricing and billing models. SURE ! Cloud (formerly eVapt ) is revolutionizing the way Cloud businesses can run and manage billing. 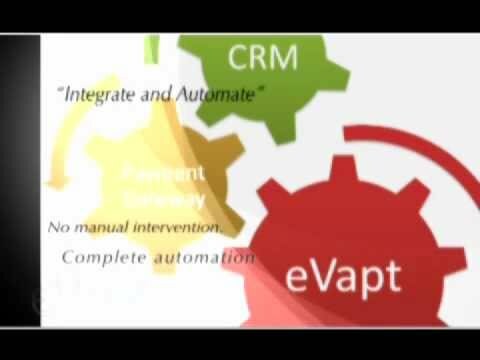 In addition to dramatically simplifying a service provider’s billing, payments and subscription management capabilities, eVapt can also offer additional benefits to other parts of a service provider’s organization such as Marketing, Finance & Accounting, Sales. There are currently no reviews of SURE!. Available with different pricing structures for different deployment models. eVapt is available on multi tenant, dedicated hosting and on premise models. How does SURE! compare with other Finance & Accounting apps? - ZERO CAPEX - SURE! pricing model gives the Operators the same flexibility they give to their customers. Pay As You Go. - Since SURE! optimizes and automates the customer on-boarding, accounting, billing and collections processes, operators in their growth phase can minimize their revenue leakage via any manual processes. Below are some frequently asked questions for SURE!. Q. What type of pricing plans does SURE! offer? Q. Who are the typical users of SURE!? Q. What languages does SURE! support? Q. Does SURE! support mobile devices? Q. Does SURE! offer an API? Yes, SURE! has an API available for use. Q. What other apps does SURE! integrate with? Q. What level of support does SURE! offer? Q. Which apps is SURE! compared to most often?